It may not be the Galaxy SII, but if you love Samsung, slideout keyboards, low prices, and 4G LTE, the Stratosphere is your only option for the time being. We all know that a set of powerhouse devices is on the way including the HTC Rezound, DROID RAZR, and Galaxy Nexus, but there are a handful of people out there that can’t live without a physical keyboard. None of those devices has one. 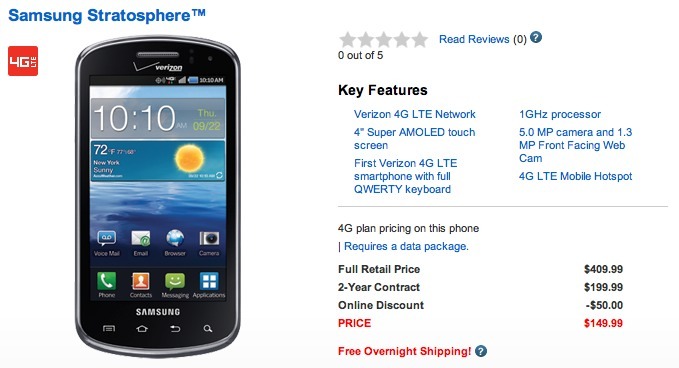 For $149 on 2-year contract, this little guy and its 1GHz single-core processor can be yours.